Garcia the best placed to exploit Rory's recent frailties but successive pars on the 6th and 7th haven't helped his cause. Fowler's birdie putt drifts inches wide and it's par for the American. McIlroy makes no mistake with his par putt and the panic abates for now. That eagles takes Karlsson to five under for the day. McIlroy's second thuds onto the 8th green, 25 feet from the pin. After his recent wobble, he'll be happy with that, a difficult birdie chance but solid enough play. Fowler on the green as well, 35 feet shy. Three successive pars from Garcia now and the Spaniard can't quite dial up the pressure on Rory. Make that four pars from Garcia as he finishes the front nine in a three under 32. McIlroy & Fowler both two putt for par on the 8th and there's no change in the leaderboard. #TheOpen @BBCGOLF BOOM !!! Birdie on 9th needed that just to concentrate the Mind again !! 9 to GO !!! PAR 5 NEXT !!!! A frustrating front nine for Fowler. A birdie and eight pars is tidy enough but he really needs some pyrotechnics if he's going to unsettle his playing partner. Garcia eagles the 10th and shoots to 15 under. Meanwhile Karlsson double bogeys the 12th to drop out of the reckoning. A group of four - Lowry, Furyk, Molinari (E) and Dubuisson - currently on 10 under. No eagle for McIlroy on the 10th but it is a second successive birdie and he goes to 17 under. Fowler follows suit with a birdie of his own and they both pick up shots. 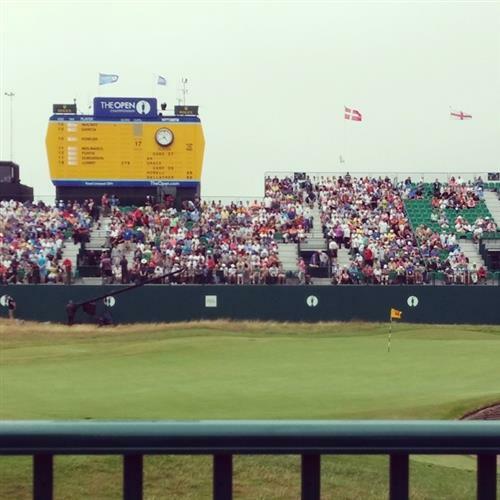 My view of 18 at #TheOpen. First row of the grandstand. Bring it home Rory. Par for Garcia on the 11th but came close to a birdie. 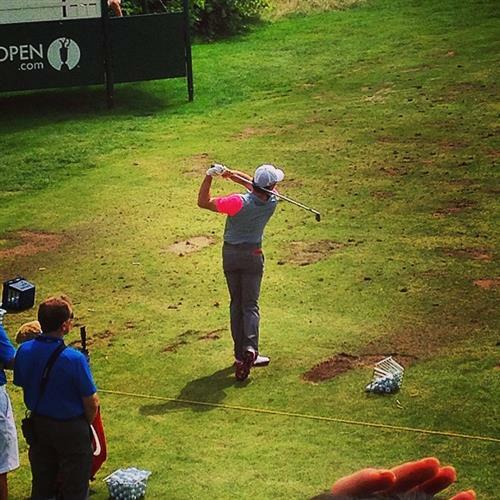 He's definitely not out of this yet but he probably can't rely on a McIlroy meltdown, he needs some magic of his own. 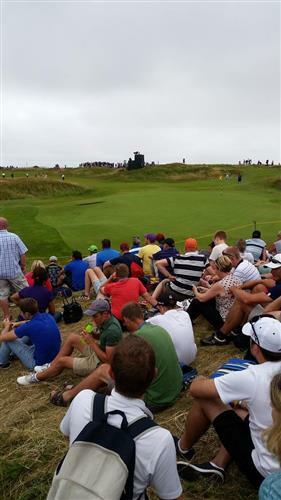 Contrasting pars for McIlroy & Fowler on the 11th. The Irishman holes a nerve-inducing four footer than he could have easily missed while the American has a tiddler for his four.